Special: $500 off Invisalign ® & 1/2 off retainers. A consultation and x-rays are required to determine if you’re a candidate. One coupon per patient. Please mention this coupon when scheduling an appointment. Coupon must be presented at the start of treatment. No cash value. May not be combined with any other offer. Straighten your teeth without uncomfortable brackets and wires. Cerac Omnicam Scanner- No impressions required! 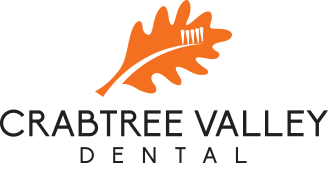 Do you want straight teeth without the discomfort or appearance of traditional braces? Consider Invisalign! Our clear Invisalign aligners are soft thermal plastic mouth inserts that can be used to correct rotated teeth, tipped teeth and minor relapse cases. To make your aligner, we will first make models of your teeth. These models will be sent to our lab, where specialists will create an aligner based on a model of your “reset” teeth. The clear plastic aligner/retainer will exert a gentle pressure on the teeth to be moved. You will periodically receive new aligners according to your treatment plan as more movement is required. Get noticeable results for less. Our Invisalign-trained doctors are ready to help you take the first step toward a beautiful smile.